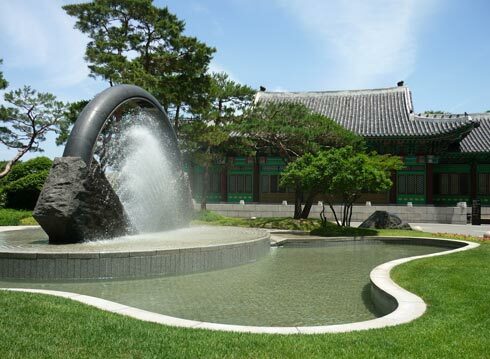 Our hotel in Seoul was simply magnificent – five stars, reckoned by some guides to be the best in town. 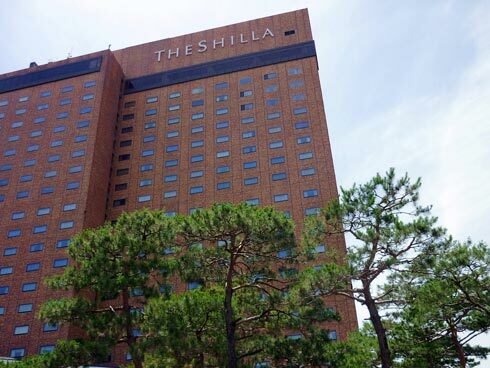 The Shilla Seoul was certainly the best hotel I’ve ever stayed in and it could easily have been a destination in itself for the few days we were there. The staff were great. Never obtrusive, they seemed to always be there when you wanted them, were always helpful and most spoke pretty good English. I only managed three breakfasts and one lunch there, but all were magnificent. I had hoped to use the hotel’s large and well-equipped gym, but our Korean host always had other ideas for using up our spare time. One thing that was very obvious in the hotel were all the beautiful women, both staff and guests. Korea generally seemed to have more than its fair share of beautifully presented women, and I gather they are well known for this throughout Asia. Fountain outside the main entrance to the Shilla. Part of the hotel is built in traditional style. 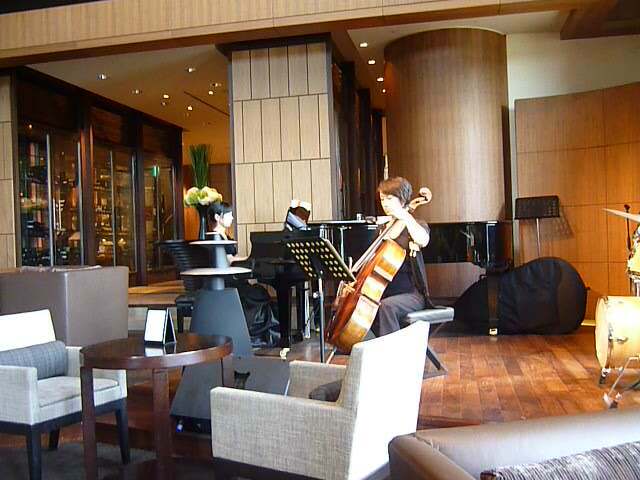 There always seemed to be good music in the lounge adjacent to the main lobby. Here two very good musicians are playing Bach's 'Jesu Joy of Man's Desiring'. On other occasions I heard a very tasteful cocktail pianist and an excellent jazz trio. This entry was posted in Korea and tagged Seoul hotels, Shilla Seoul. Bookmark the permalink.